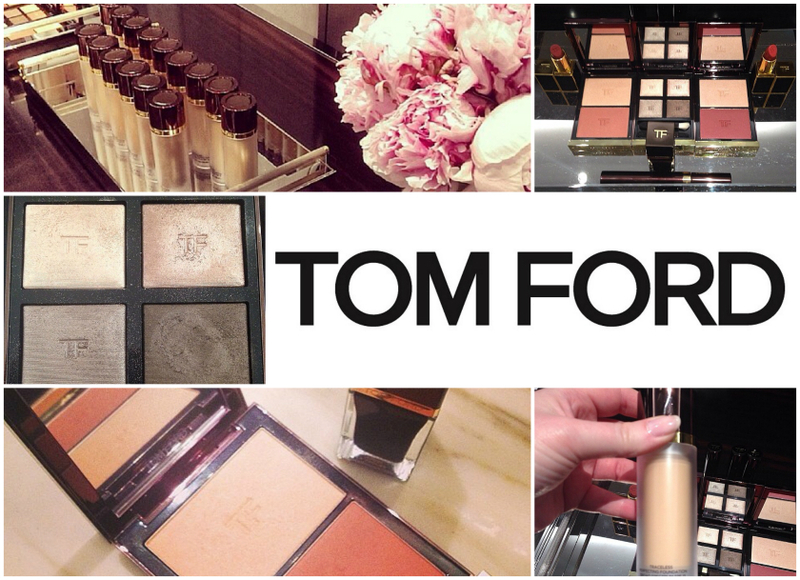 If you follow me on social media you probably noticed I was going just a tad crazy over the upcoming Fall 2014 TOM FORD Beauty Color Collection. Representatives from the Brand previewed the collection to beauty editors this month and some of the guests were kind enough to share some sneak peeks online! 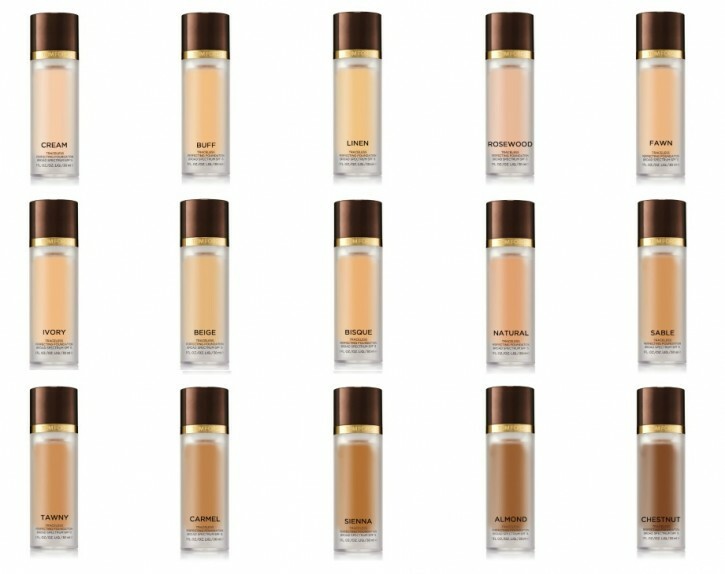 The release of the new Traceless Perfecting Foundation SPF15 ($80). In addition, The Beauty Professor has shared some fabulous swatches on her site and provides an excellent analysis of the new colors. Check it out here. A true Concealing Pen ($52) in a click delivery system with a domed applicator. A twist-up stick Correcting Pen ($44) with a peach-based corrector and a yellow-based concealer. Review and in-depth swatch analysis here! Additional swatches available here and here. Check out the swatch here. Two new powder Contouring Cheek Color Duos ($77) named Softcore and Stroked that complement the ever-popular Shade and Illuminate palettes already in the line. Read the in-depth review of Softcore here and see additional swatches here. Check out the images below (click for a larger view) and tell me what you are most excited about in the comments. [Editor Note: all information listed is now official!] Keep in mind that this is all early, pre-release information, so it is possible some of the names/colors/etc. may change by release date. I am dying to try the new foundation and eye quad! Omg, they are all so gorgeous!! I really really love all collection!! Wow, the collection is absolutely marvelous! Amazing colors! I’m in love! Lovely collection. I am mostly excited about the palette and the nail polish. I hope the blushes are powder. Thanks for commenting! It’s been confirmed that both of the shades in the cheek duo are powder. I am getting more excited about the duo the more I hear about it! Ooh I want everything. Great collection coming up! I’ll take one of everything….lol Everything is so beautiful! Oh dear, I better start saving my money! That quad is gorgeous, and the cheek duos are intriguing. Are these going to be permanent? I hope so! I believe so, yes. As far as I know these aren’t limited-edition, but I will let you know as soon as I get that confirmed. Gorgeous colours – he’s done it again! I love the contouring cheek color duos from this collection. Looking forward to checking this out! That pale pink/plum cheek duo will be mine. Do you know if he will be coming out with a holiday collection or if this is it? STUNNING! Is there a release date already ? Hi Elli, I don’t know the exact date yet, but the Fall release typically is available in August (usually towards the end of the month). I’ll let everyone know when I have a more definite date. Mid-August for the Color Collection (if not sooner!). The majority of the Flawless Complexion Collection is already available in the US. Would love to hear more details on the foundation – esp the ingredients – when you have them! Hi Gail, thanks for stopping by! I should have some tentative information on the ingredients and formulation this weekend… stay tuned! Those blushes look very similar to Savage and Ravish. Are the new blush/ highlight duos totally new, or are the blush shades already in the collection? Thanks for the fab pics!! Hi there, so sorry for the late response! These are completely new shades. The dark colors in the Contouring Cheek Duos are both matte.